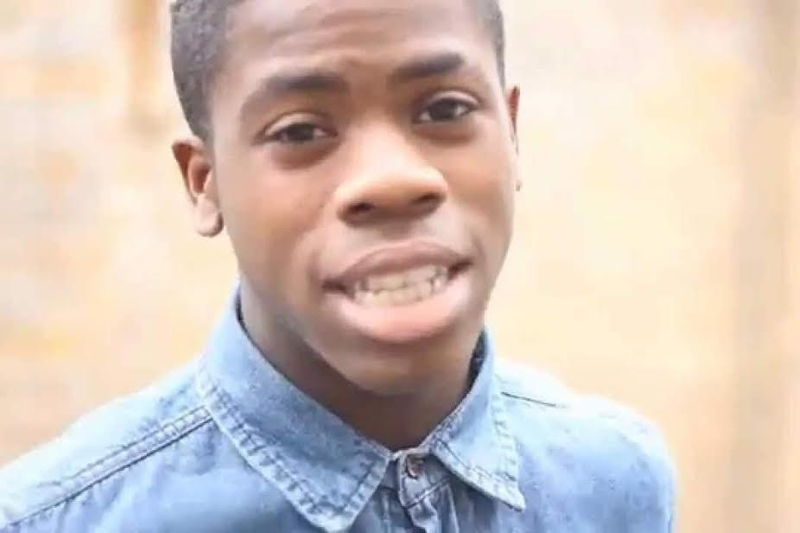 A 15-year-old boy has been cleared of murdering a Nigerian rapper who was stabbed to death at a teenage party. The defendant, who cannot be named for legal reasons, was yesterday, found not guilty of killing 16-year-old Showkey, real name Leoandro Osemeke, on August 5, 2016. The pair were among some 200 youngsters who descended on the home of a 16-year-old girl in Peckham, south London. Within 25 seconds of arriving, Showkey was stabbed twice in the chest, with one wound penetrating his heart. At the time of his death, Showkey was to be a witness in the trial of three other teenagers who were later convicted of stabbing his friend, another aspiring rapper Myron Yarde, four months before. Myron, 17, was backed up against a wall in New Cross, south London, and stabbed five times in the legs on the evening ofApril 3 last year. The trial into Showkey's death had heard how the invite to the party in Peckham" went viral" and the party soon became noisy and spilled out into Colgrove Road, prompting complaints from neighbours to police. Prosecutor Lisa Wilding QC said Showkey was seen "smiling and joking" as he arrived at the house with his brother and two friends. But as he went inside, Showkey was stabbed more than once with a "Rambo-style" knife, she said. Emergency services performed heart surgery on Showkey at the scene but he was pronounced dead an hour later. Ms Wilding had told jurors the issue was whether the defendant acted to defend himself with "reasonable force". Following the earlier trial into the death of Showkey's friend Mdot, Old Bailey judge Nicholas Cooke QC called for an end to "the evil" of knife crime.